*Membership in the AIS is required for academics and doctoral students to register. However, Undergraduate and Masters students are not required to join AIS in order to register for this conference. To see the benefits of being an AIS member and to join, visit the AIS homepage. For questions about registration for the conference please contact Don Heath at heathd@uwosh.edu or Aretha Wright at AIS at aretha@aisnet.org or (404) 413-7445. By submitting a final camera ready copy of their paper, authors are confirming their attendance at the conference and are ineligible for a refund. Requests for refund or cancellation for all other participants must be in writing via email, fax or mail and are subject to the following schedule: Received by April 21, 2019, full refund less $25 administrative fee; received after April 21, full refund less $50 administrative fee; received by the AIS office on May 1, or later are ineligible for a refund. Substitutions are permitted. 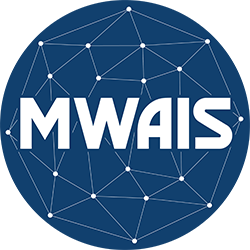 By registering for the Midwest Association for Information Systems (MWAIS) conference you authorize the organizers to take photos during the conference and social event to be hosted by the University of Wisconsin Oshkosh from May 21-22, 2019 without expectation of compensation. You further authorize MWAIS and UWO to use such photographs for educational, promotional, advertising, and other purposes in its printed publications, during presentations, on websites, social media and otherwise where connected to MWAIS or UWO for distribution internally and externally anywhere in the world. You further waive any claims against MWAIS, UWO and/or its employees and/or agents based upon or related to its use or publication of your likeness, participation, and/or picture. If you do not agree to the foregoing, you may decline your consent only by contacting Don Heath in writing at heathd@uwosh.edu prior to commencement of the conference.